Have you ever had Green Goddess salad dressing? It's usually made from herbs (such as basil, parsley, and/or tarragon), mayonnaise or sour cream, lemon juice, vinegar, anchovy fillets and green onions and/or chives. This past Sunday I had to wake up early and was pretty hungry. I'm no longer eating eggs whenever I want, so I had to think of another quick breakfast idea. That's when I remembered that I had some ingredients left from a salad I made the previous night: avocado, cucumbers and ♥s of Palm. 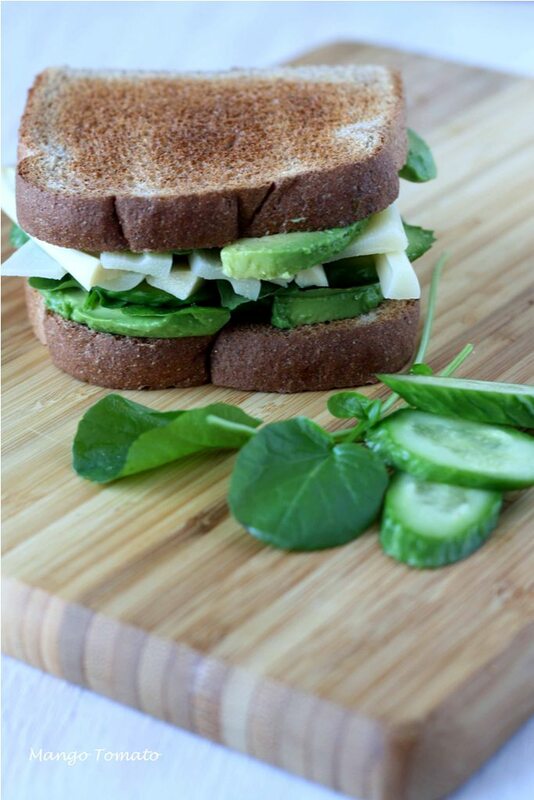 Together with watercress, cilantro and whole wheat bread, creamy avocado, crunchy cucumbers and marinated hearts of Palm made for a beautiful, delicious and nutritious breakfast. 1. 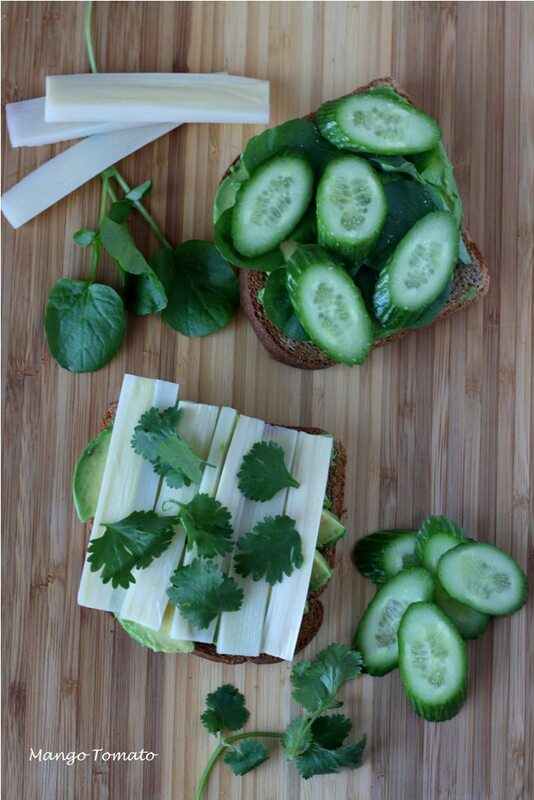 Assemble the sandwich, slice in half diagonally. Surprisingly, the sandwich held up pretty well and did not fall apart after the first bit. I think a few slices of tomatoes would have been a great addition...but then that's what I typically think. 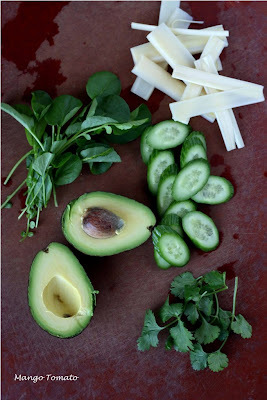 For another green sandwich, check out my Avocado, Pistachio & Arugula sandwich. This looks amazing! Totally trying it as soon as I get some heart of palm. Love! Gosh, this looks fresh and amazing. Love the architectural bones of this sandwich, and I'll bet it was delicious too! Completely lovely, I can imagine the fresh tastes and the fantastic range of textures. Beautiful sandwich. Love green goddess dressing. Just wish avocados didn't make me so violently ill so I could enjoy your sandwich. 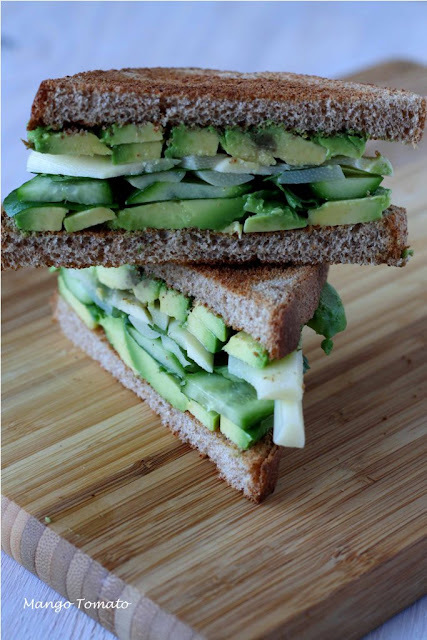 I love to make sandwiches with avocado, but I never thought to put hearts of palm on a sandwich. What a great idea! Love the color. 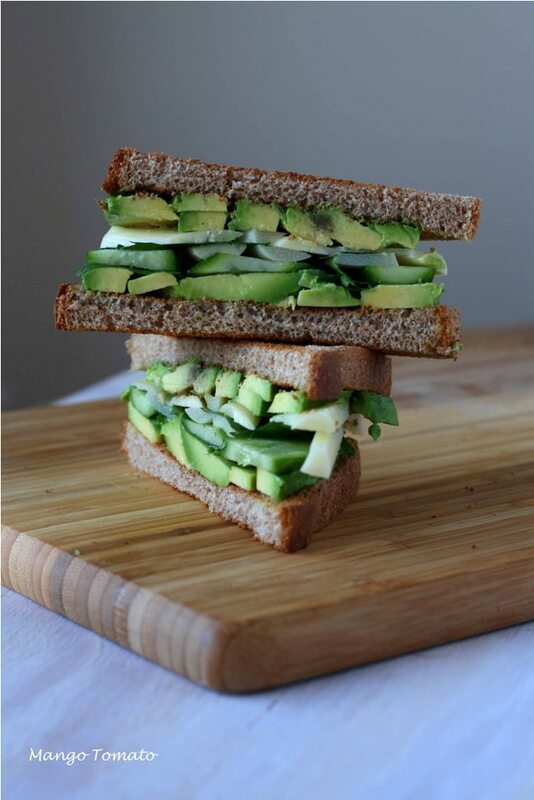 Cucumber and avocado are such great flavors! Looks scrumptious, and definitely up my alley as a vegetarian! This sandwich does look fit for a goddess! Thanks for sharing! Loving this! Gorgeous, and includes some of my favorite things. What a strange and strangely brilliant monochromatic sandwich! I will definitely have to try this one: It's straight up my alley. Well, this is pretty innovative! I'll take one of these right now!